Research has shown that "Background knowledge is the glue that makes learning stick." Why not take the opportunity to teach our children not only about gardening, but also about new words they can learn along the way? Yesterday, my grandkids and I took a late winter tour around the yard looking for signs of spring. 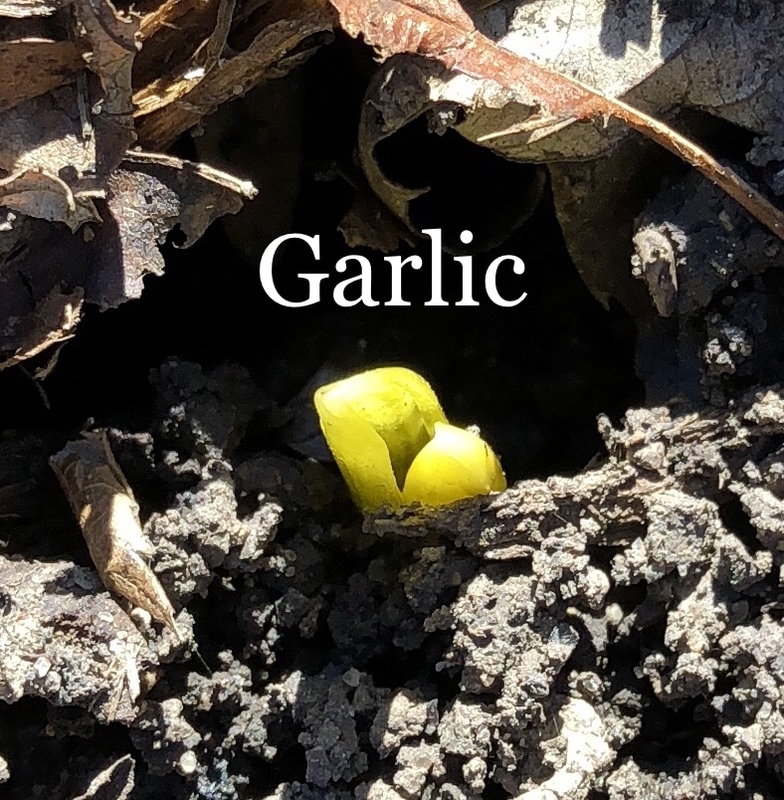 We found daffodils peeking their heads above ground, strawberries with new green leaves venturing forth, and garlic just starting to emerge after a long winter nap (around here we plant garlic in the fall). But then we looked up and saw the buds on one of our three magnolia trees. 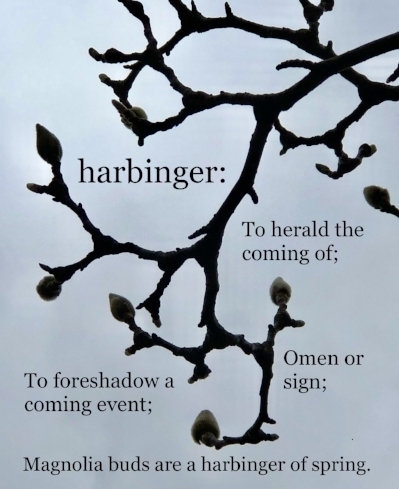 The word that came to mind was "harbinger." As a teacher, I know the importance of developing a rich vocabulary in our children, and as a gardener, I realize how many chances there are to teach new words to kids while they are learning where food comes from and what a magical place the garden can be. So continue to find opportunities to teach new words to children while you are in the garden. Keep a list of the words as they come up and post it somewhere the kids will see it often. Empowering kids with new knowledge will make them feel special, because they are!